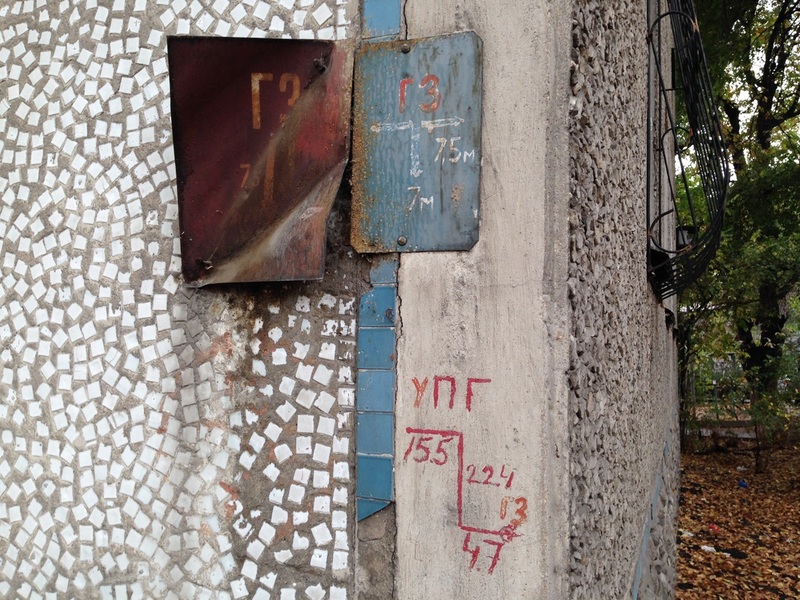 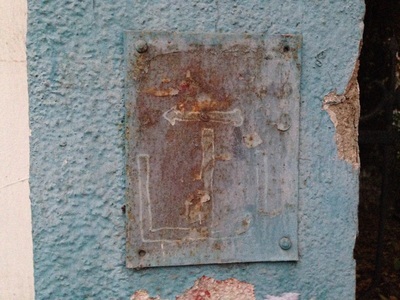 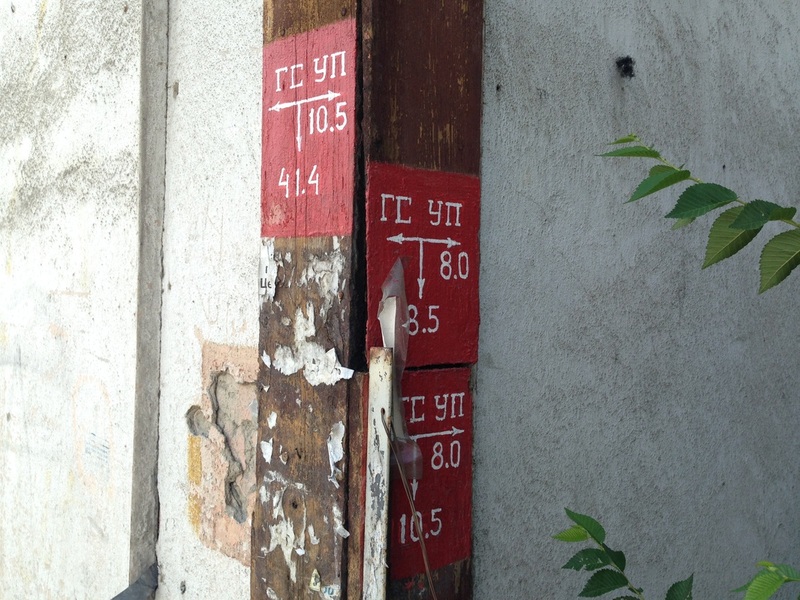 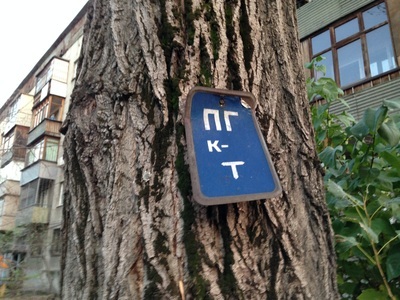 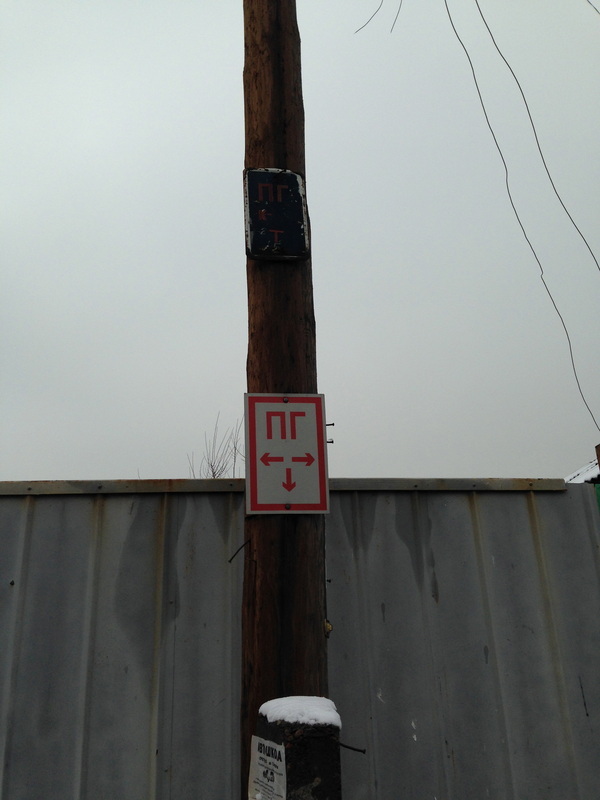 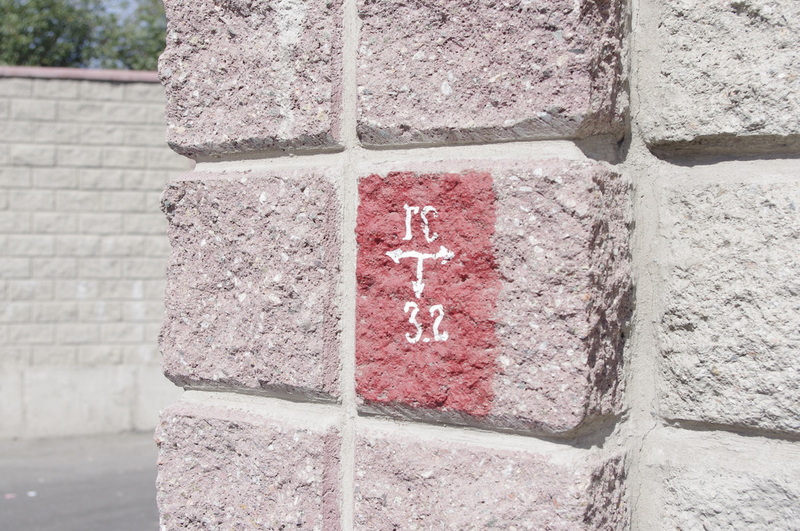 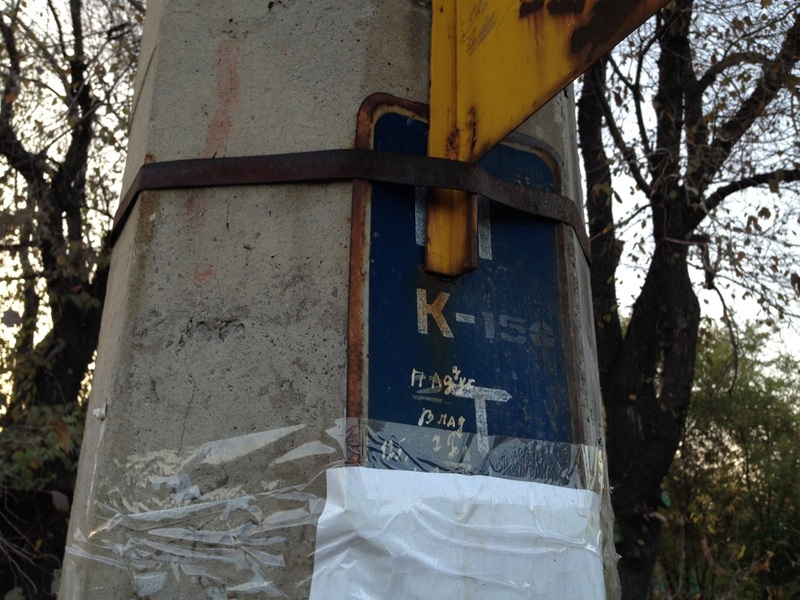 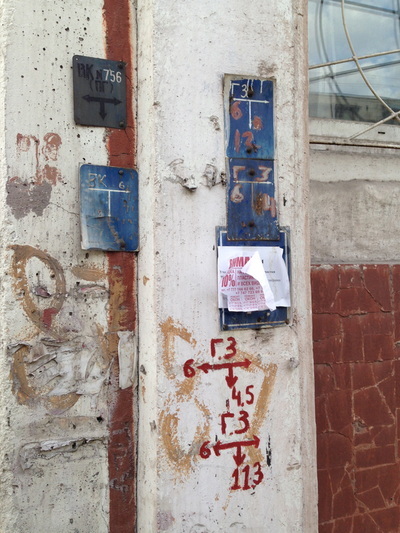 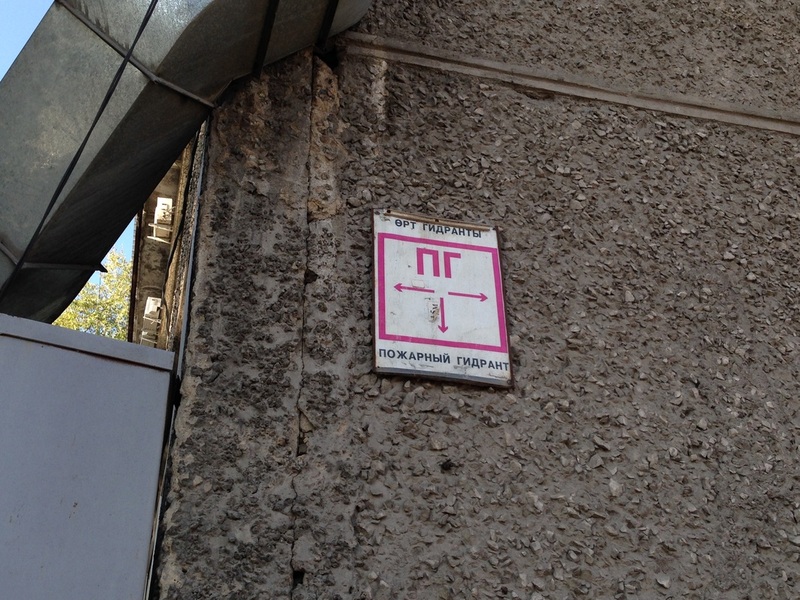 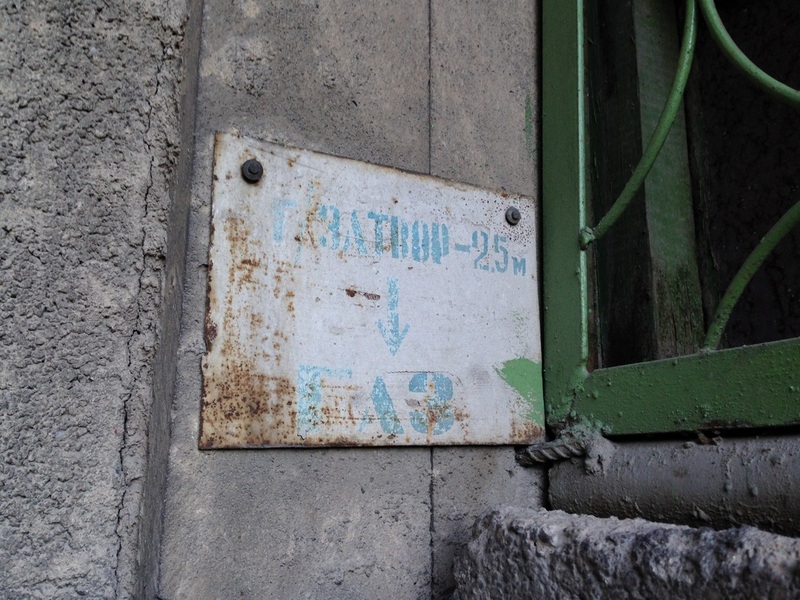 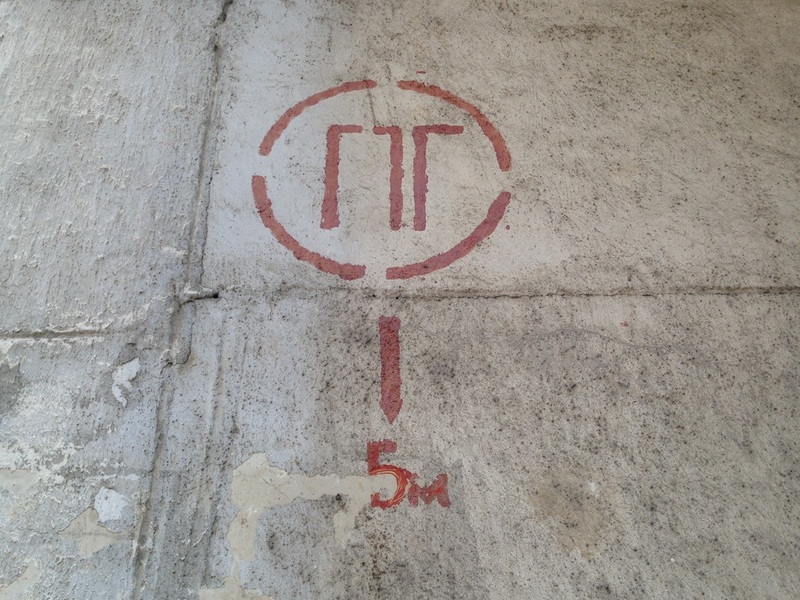 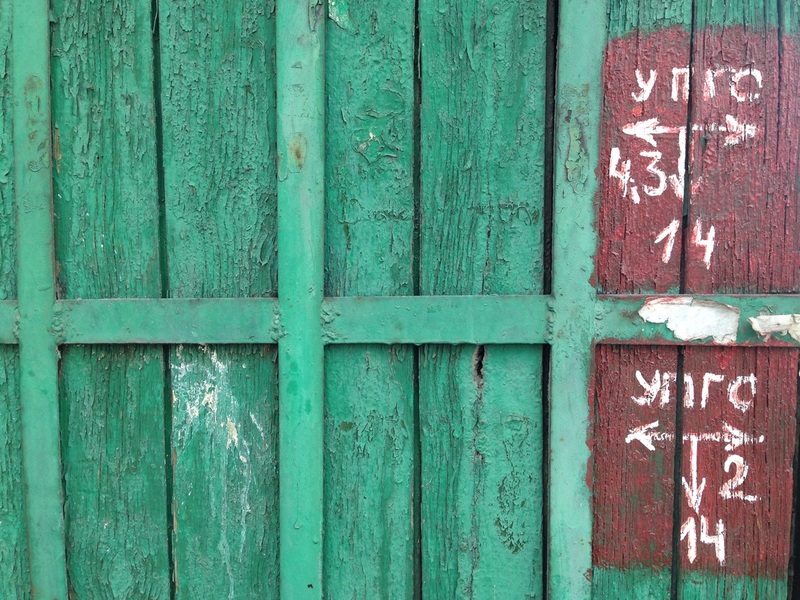 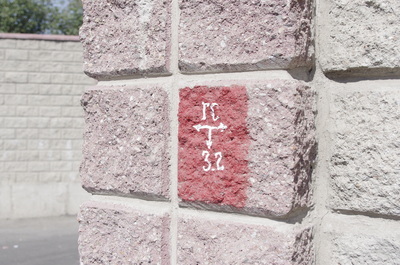 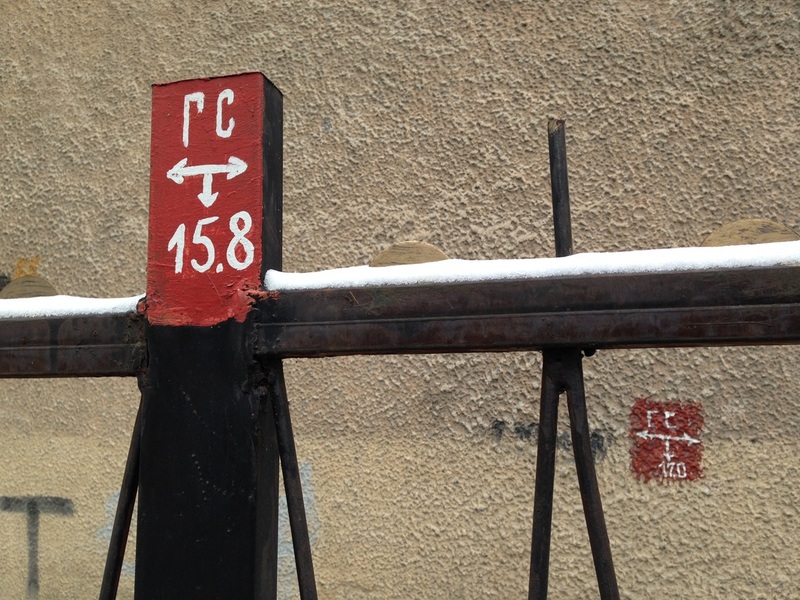 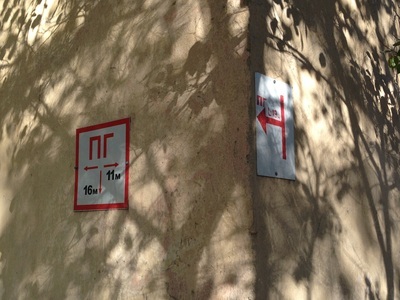 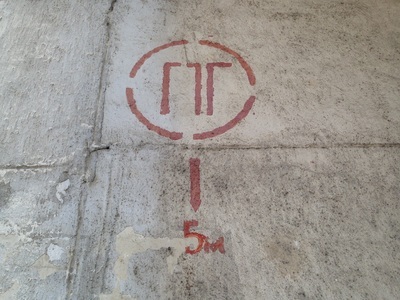 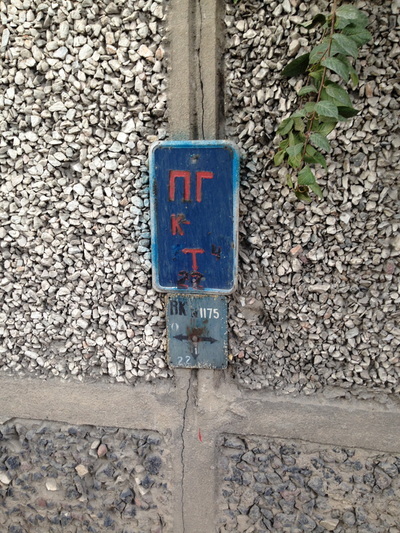 You'll see them on the corners of nearly every building in Almaty, red or blue metal plates with lettering in white, usually handwritten, the letters "ПГ", two arrows and a number. 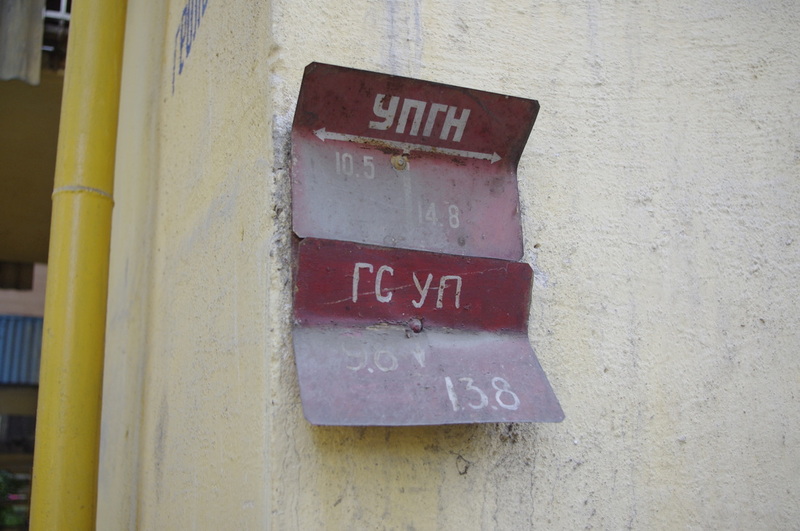 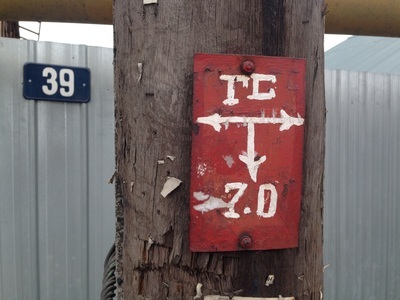 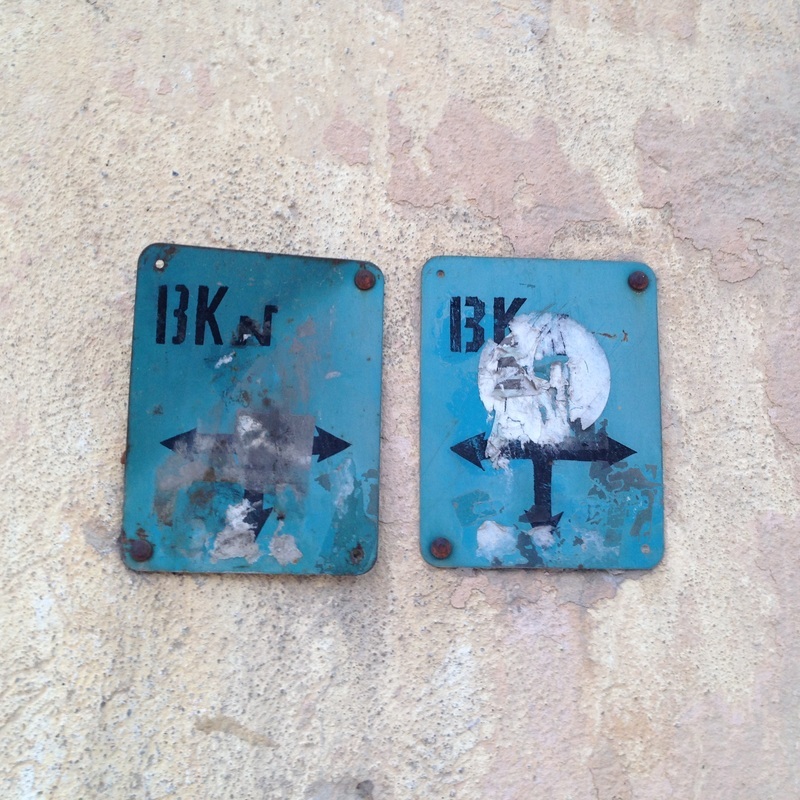 These special signs, or ukazatelnye tablichki [указательные таблички] tell firefighters where to find the nearest hydrant. 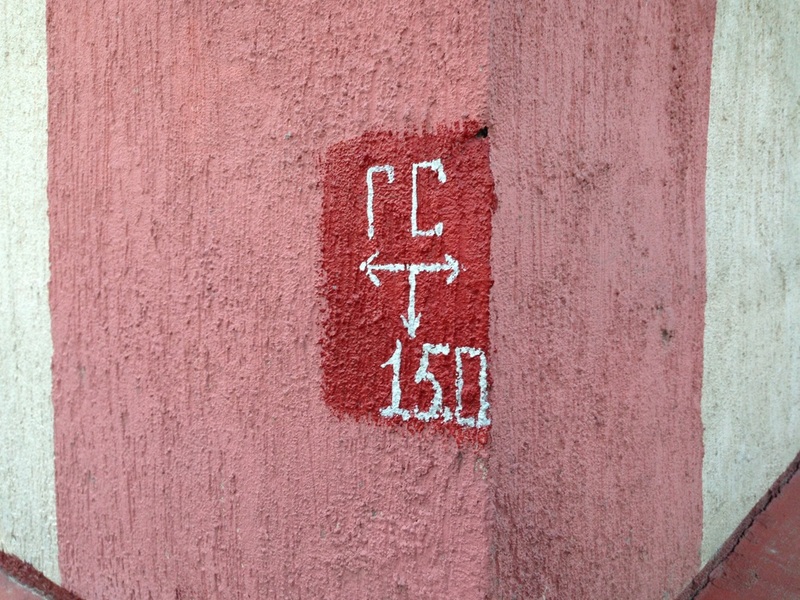 An American reader might be confused, because our big red columns are so obvious that even territorial dogs know what to do with them. 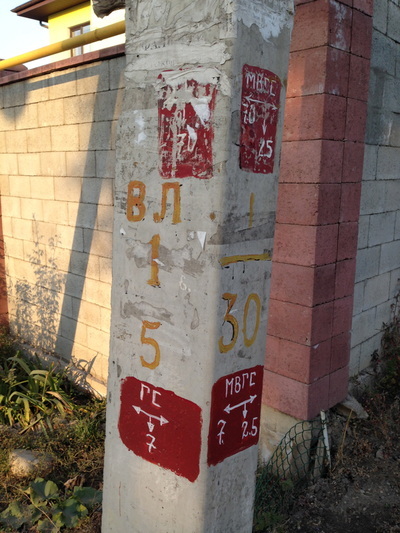 In former Soviet republics, however, fire hydrants are underground. 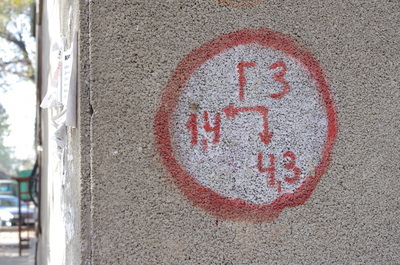 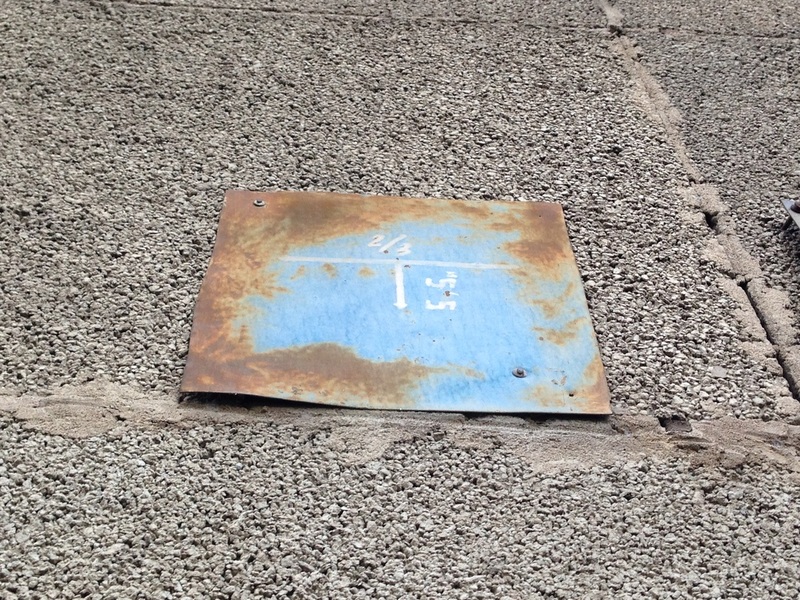 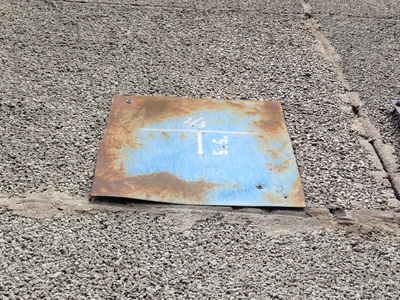 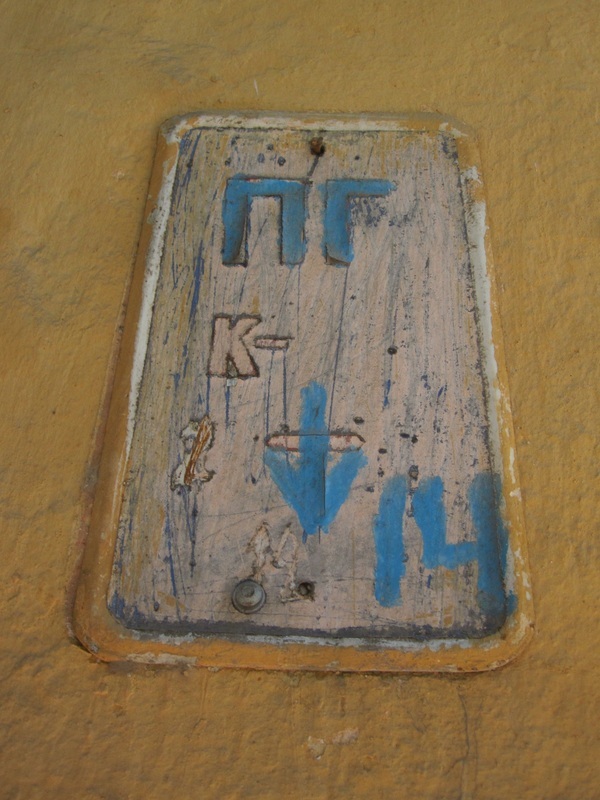 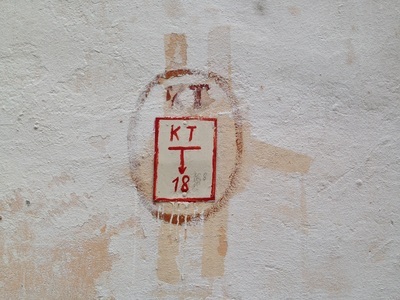 Firefighters must remove a manhole cover with the letter Г on it for Гидрант [gidrant; "hydrant"], locate an underground pipe, and screw in a tall standpipe [колонка; kolonka, lit. 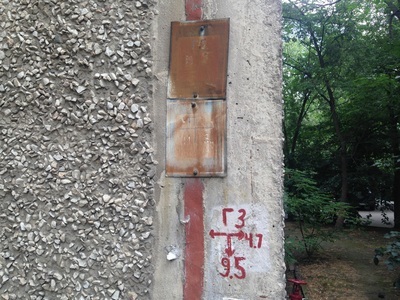 "column"] that has two nozzles on it for attaching hoses. 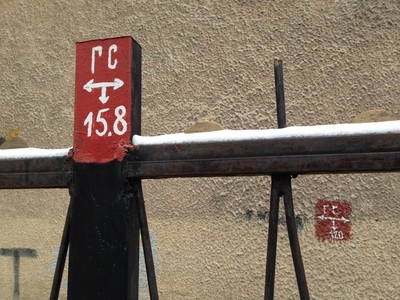 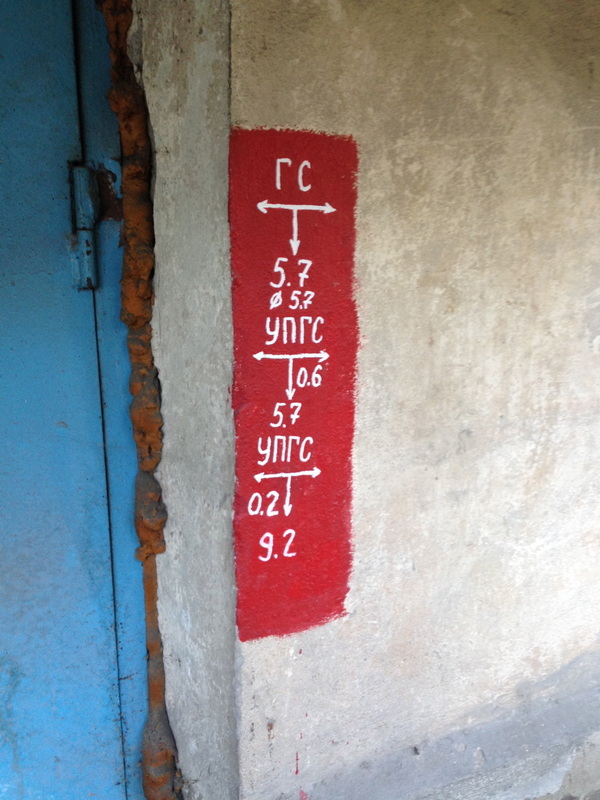 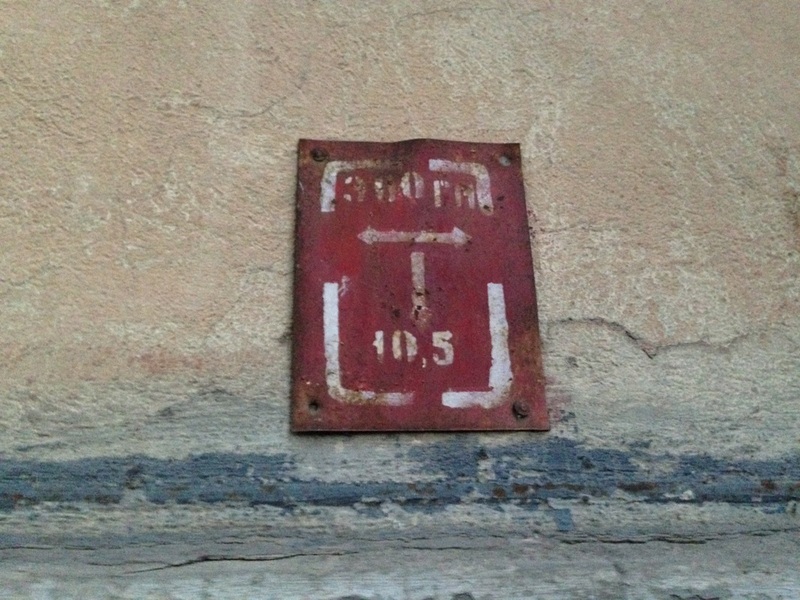 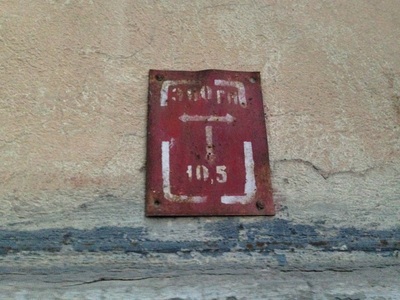 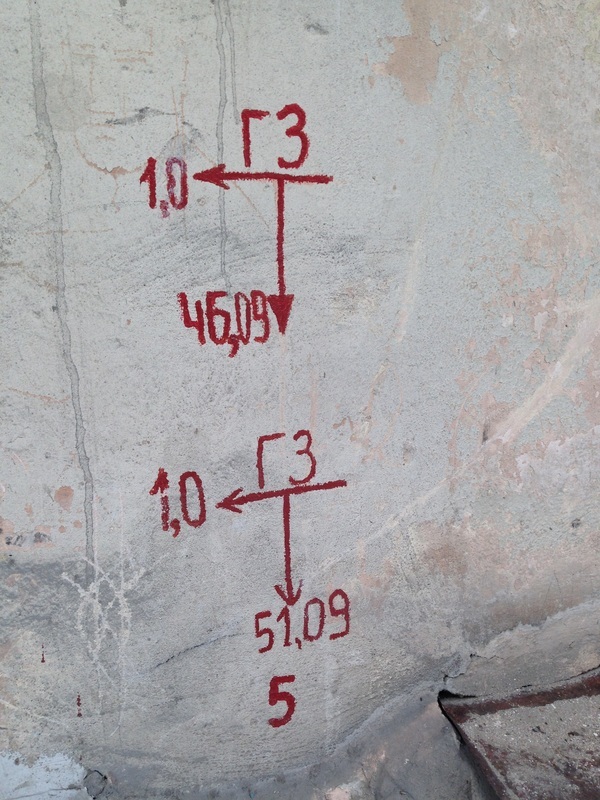 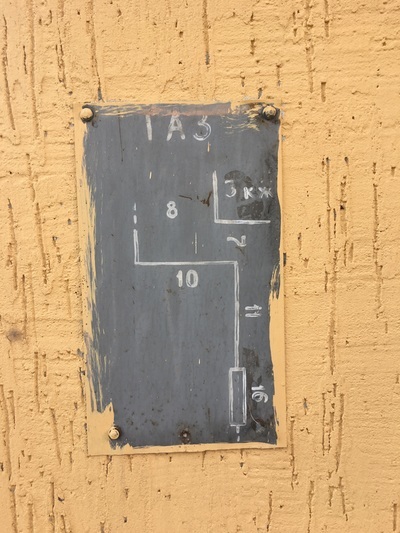 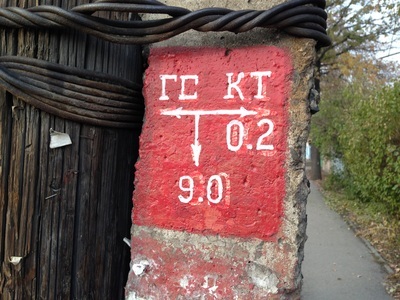 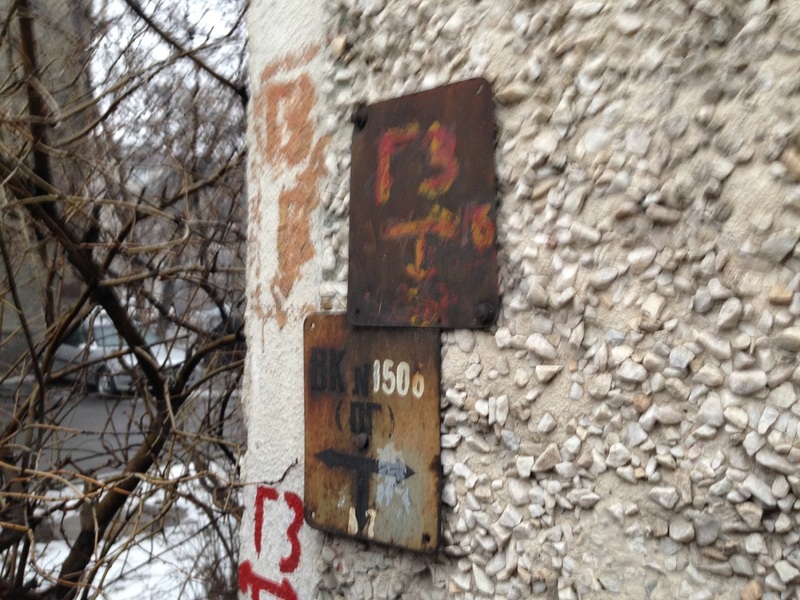 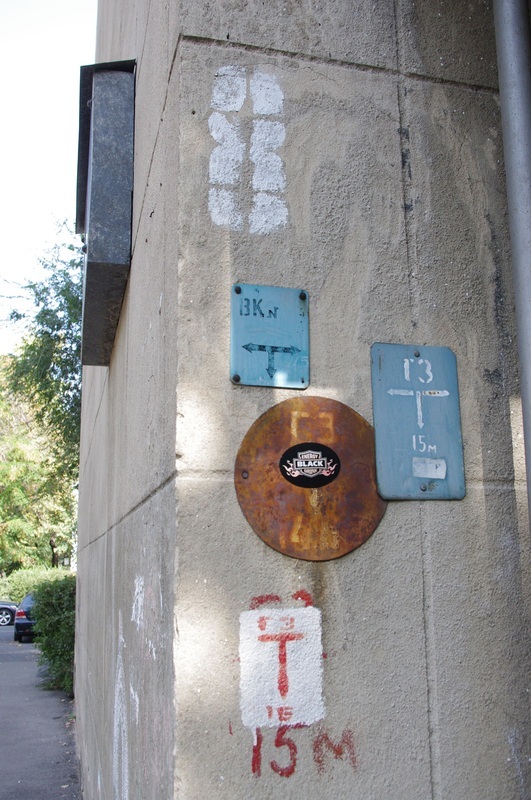 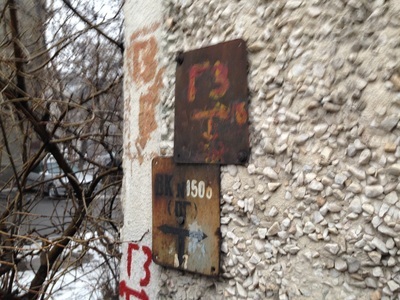 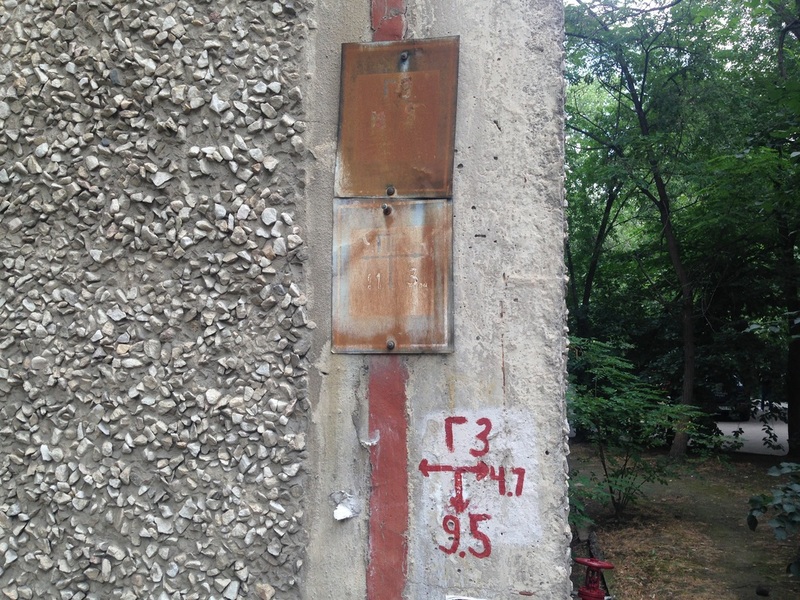 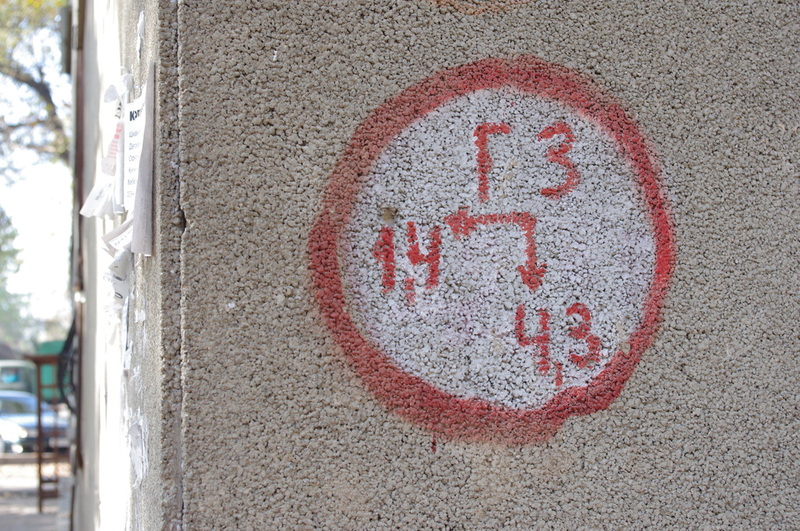 The numbers on the signs show how many meters away you must go to find the hydrant, and the most common code on top of that is ПГ, for Пожарный Гидрант [Pozharny Gidrant; "Fire Hydrant"]. 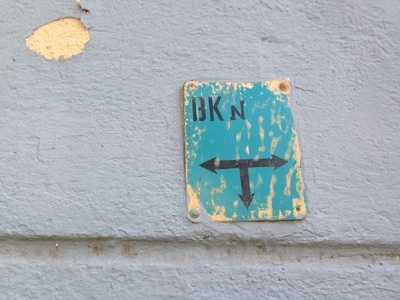 You sometimes see some other letters too, but I've had a hard time figuring those out. 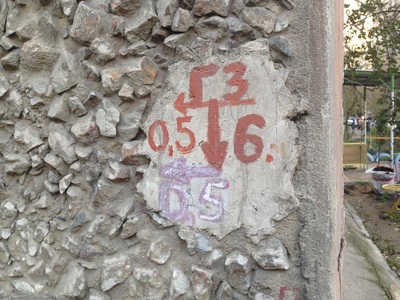 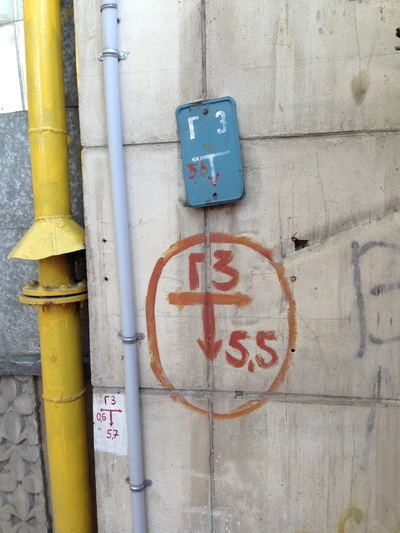 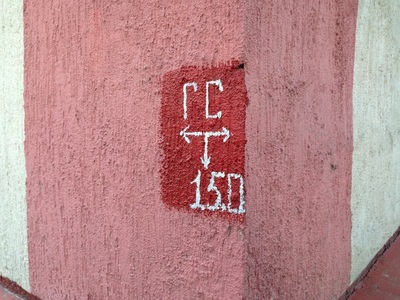 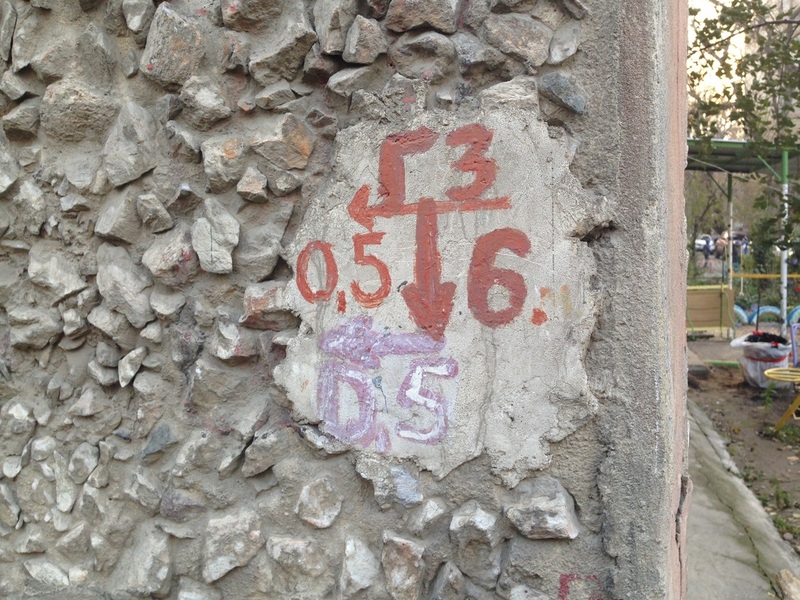 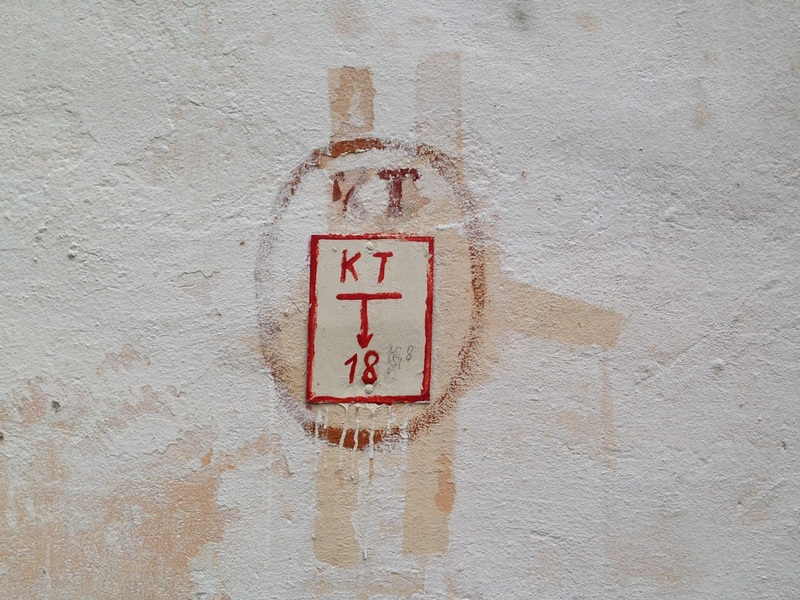 ГС is quite common, and my best guess is that it stands for Гидрантная Система [Gidrantnaya Sistema; "Hydrant System"]. ГЗ apparently stands for Газовый Затвор [Gazovy Zatvor], which means "gas damper", a device used for stopping the spread of fire through gas and ventilation systems. 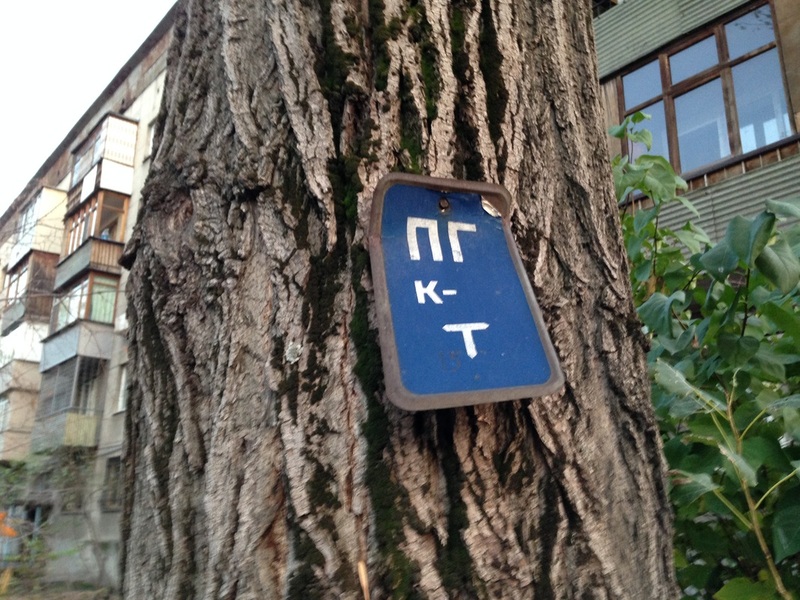 You also might see УПГС or the letter К, but I haven't figured those out yet. Any Kazakh firefighters out there to fill us in?